Is this an indictment on Mike Crawford? I would love to have Mike Crawford on this team. Don't recall anyone chatting up MC as one of the 5 best shooters in the country. 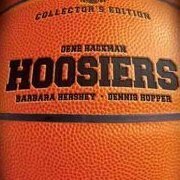 Was final five Indiana Player of the year though. I remember being cautiously optimistic about him as a player when we were recruiting him and after he signed, but I don't remember him getting a lot of attention before or after we signed him. GJ, meanwhile, has really been opening eyes so far this season. Part of this is simply due to exposure. Things have changed in the past several years, and the main factor is that GJ plays for a national traveling team whereas Crawford was playing in rural Indiana. I agree with the last few posters. He would've been really nice as a 7th or 8th guy. The problem was he was stuck on a roster without much talent. sometimes players who come from small schools scare me. their stats can be so misleading. Luckily Jimersons numbers come against good to great comp. People got pumped because Crawford was a finalist for Indiana player of the year. 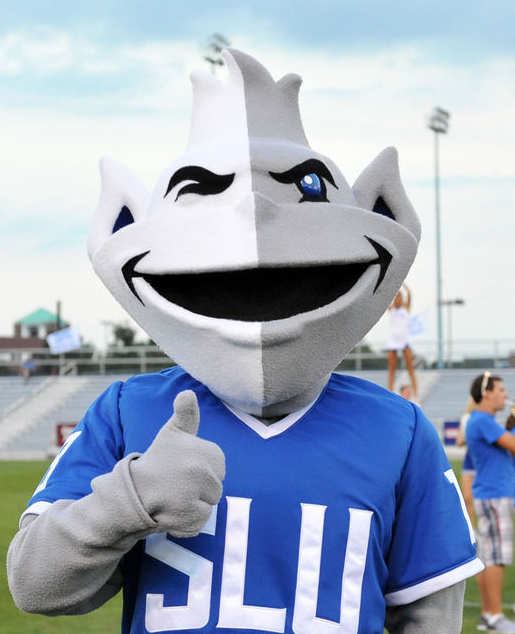 Billiken Roy was right all along about the caliber of the Crews recruits. Bartley led SIU last game. avg 11.5 in 4 games with slash of 60/62/75. 13-21 from 3. Nice win for the Flyers. Orr is a two time defending 2A state champ in IL. They beat Vashon last season by 10. They have lost their whole starting line-up from last season, but they are sill a very good basketball program. Orr has three seniors who are future D1 players. Along with the small sample problems, that line for Bartley is pretty misleading. He's shot 21 3s (13-21) and only 4 2s (2-4). He's basically torched some awful teams from 3pt range (combined 11-15 against Howard and Arkansas Pine Bluff) and been average against good teams (2-6 combined against Buffalo and Kentucky). That being said, he'd be a pretty good fit on our team as a 3pt sniper with our dearth of shooting. He'd basically be in the Wiley role. Steph Bartley wasn't much last season and would have graduated now if he stayed at SLU. The kid that SLU could actually use right now is Jordan Barnes, who Crews ignored. Bartley also has an SIU team high 17 assists with only 8 turn overs. He is one of their primary ball handlers. Terrence Hargrove Jr., a 6-foot-6 senior forward at East St. Louis High School, scored 20 points and had 10 rebounds to lead the Flyers past Chicago Orr 68-65 in the second game of the Abe’s Roundball Classic at Lincoln Land Community College’s Cass Gymnasium on Tuesday. In the first game, Chicago Curie beat St. Louis Cardinal Ritter 56-34. Hargrove has signed to play at Saint Louis University. The Abe’s Roundball Classic is the successor to the former Adam Lopez Thanksgiving Tournament that was held at Lanphier High School’s Lober-Nika Gymnasium since 2015. Lopez, the Springfield School Board vice president, was indicted Nov. 7 on charges of theft and financial exploitation of the elderly. Hargrove, who led East St. Louis in scoring in 2017-18 with 18.2 points per game, was 6-for-10 from the field and hit eight of 12 free throws. He also averaged 9.5 rebounds a season ago. I don't remember anybody saying that about Crawford. In fact, I think we all assumed he was sort of a throw-in given the transition from Majerus to Crews. Actually ended up being a better player than I expected. I can't recall anyone getting to excited about Crawford. He was a finalist in the Mr. Indiana thing, but that was about it. Can't recall him having a lot of top tier offers. That said, he was a very serviceable player that would have been a solid 6 to 7 in past rotations. He was an upgrade over Jake Barnett and probably should have logged more minutes than he got that first year. A solid Billiken much like a Luke Meyer type. Great start for Hargrove and ESL. He was right around his averages for last season. With him being such a focal point for opposing defenses, I'd imagine averaging 20 and 10 this season would be a nice accomplishment. Here are some highlights. If you want to skip to the TH stuff, he's at 0:20, 1:20, 1:25, and 2:02. If we can land Jitoboh, this would definitely be a top 25 recruiting class. A nifty PG with great distribution ability, a lights out sniper, a pure athlete SF with outside shooting ability, and a huge post presence. 33 points for T Hargrove in an OT loss last night to Chicago Curie, a projected top 10 team in the state. TH fouled out in OT. I agree—that was the first thing I noticed on the video! Hargrove also went 4-6 from 3. I like it.